Happy Friday, friends! With a full-blown flu the first 2 weeks of the year, I’m having a late start to 2017 but wow it’s already February in a couple days - jeez! 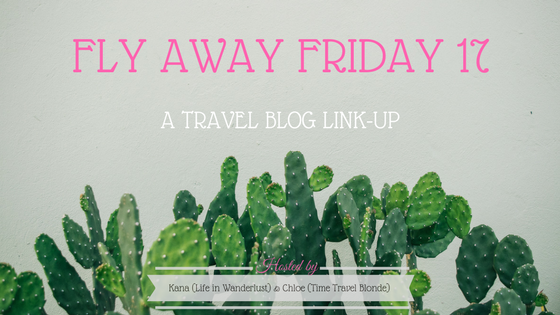 Since I have no travel plans in March, I’m considering visiting Sedona and the Grand Canyon! Have any of you been there or better, have a blog post on your experience? Leave me a comment below! Today I wanted to take some time and share a fellow Travel Blogger’s exciting news! 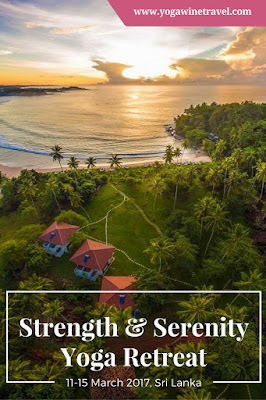 I think all of you know and love Flo from Yoga Wine Travel as much as I do, but did you know she’s hosting a Yoga retreat in Sri Lanka? How awesome is that? In March, not only will you get to meet her and learn her trade, you get to stay at a beautiful beachfront boutique resort. Since I can’t be there (even though I would LOVE to! 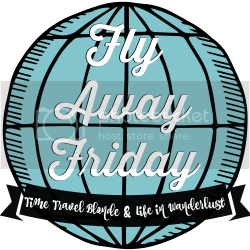 ), I wanted to share the opportunity with the Fly Away Friday community. Click on the image below for more information! Have fun, meet new amazing travelers, make friends and don’t forget to come back February 10th! Yoga...in Sri Lanka... Since two of our New Years Resolutions are to get back to yoga and to (as Rick Steves says) Keep On Traveling, we almost have to go! Thanks for the tip...looking into it! As always, I cannot wait to check out all these blog posts!